Ready to stitch up a little treasure? 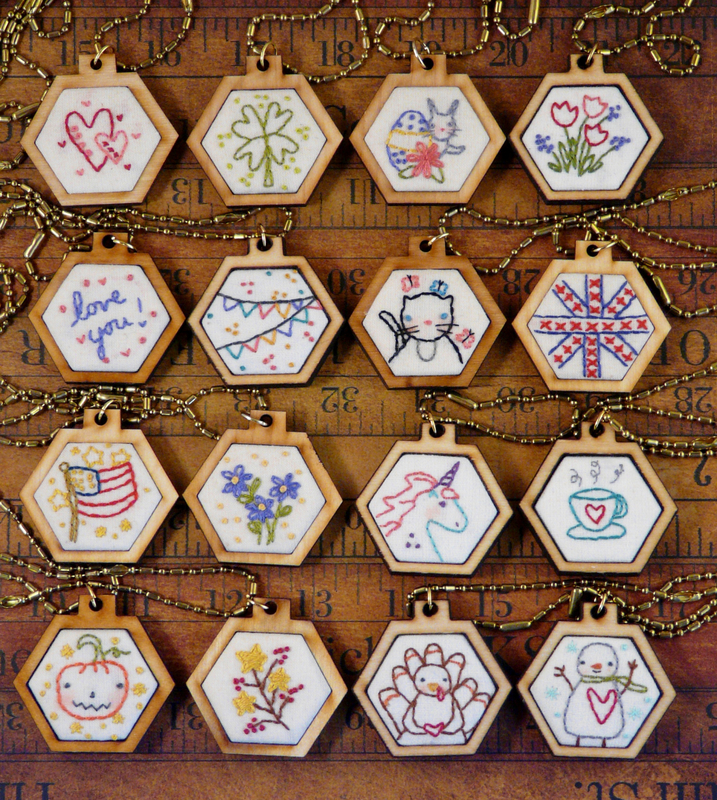 Stitch up some quick & unique necklaces... 16 designs in one. These are so easy and quick...a fun project that is beautiful to wear. There is a project for every time of the year! 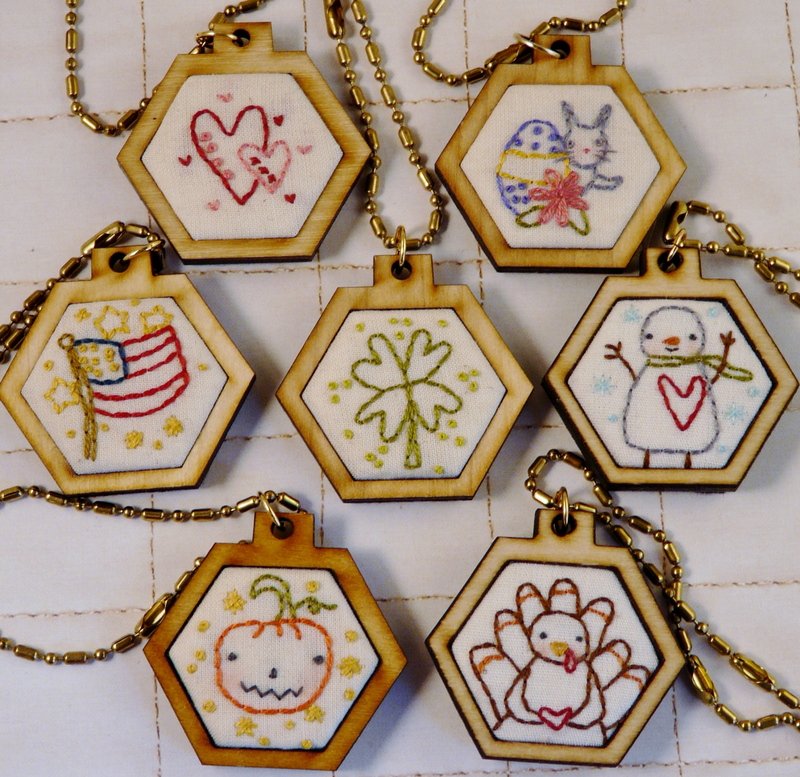 You can even stitch these up for English paper piecing hexies. There are: double hearts, cat with butterflies, daisies, American Flag, Love you, Easter bunny with egg, stars and berries, pumpkin, shamrock, snowman, turkey, British flag, coffee/tea, banners, tulips, and a unicorn. 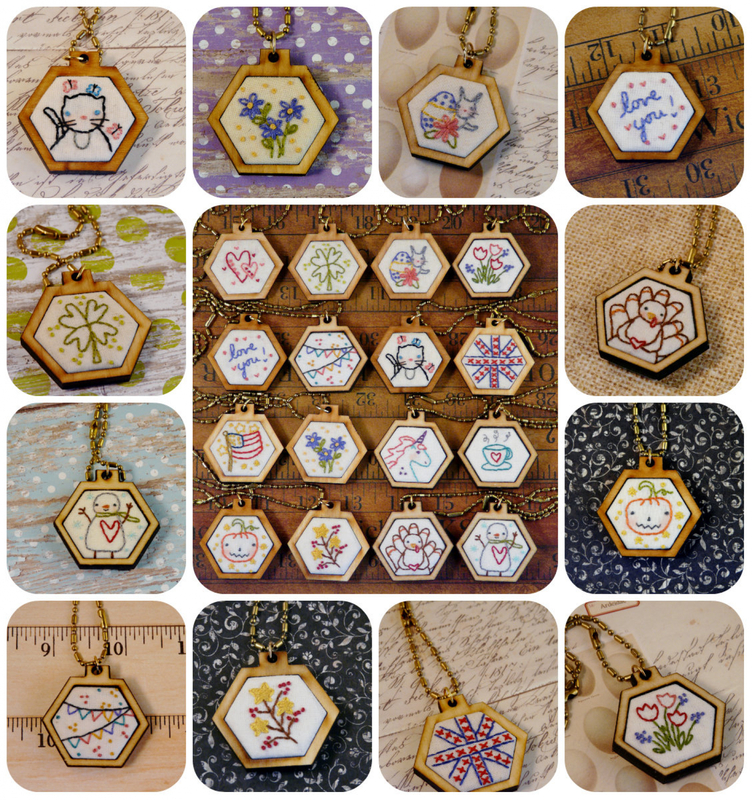 Embroidery designs measure: 1 7/16" x 1 1/4"
Finished designs in mini hexies pendant blanks: 1 3/4" x 1 11/16"
THIS PATTERN DOES NOT COME WITH THE HEXIE PENDANTS...IT IS JUST THE PATTERN. Please order hexie blanks here.